Allocation of resources is about using available critical and non-critical resources of a project in the way that prevents waste and ensures cost-effectiveness. In this Project Resource Allocation Checklist you can read about key steps you can take to allocate your project resources in a cost-effective way. Create a work decomposition pattern (e.g. WBS) that includes a hierarchy of all phases, activities and tasks that have been added to your project plan. List all resources (including HR) that are available to your project. Identify critical tasks and activities that establish the longest possible duration for available resources to complete the project. Establish dependencies between critical tasks. Estimate the total number of working hours required for HR to do critical tasks and activities. Develop individual time estimates for team members to identify how many hours every person is assigned to. Use individual time estimates to develop a resource loading spreadsheet that presents hours and critical tasks assigned to available HR. Develop a work decomposition schedule that summarizes the spreadsheet and serves as an annex to your project schedule. Begin to allocate people against project tasks and activities to even out their workload. This process is called resource leveling. Use the resource loading spreadsheet to get the number of hours that each individual in your project team has available for work. Identify the number of hours that team members are assigned to, according to your work decomposition schedule. Identify loading status per individual: if the number of allocated hours is greater than the number of available hours, then the status is over-loaded; otherwise it is under-allocated. Consider changing tasks and activities that are allocated to any resources which have under- or over-allocated loading status. Consider adding more working hours for those resources in order to try to reach balanced workload. Regard your resources as leveled only if loading status for all resources reaches balance. Begin to plan for resource consumption to define how to best use available project resources. This activity is called resource prioritization. Perform a quantitative analysis to identify the exact number of resources allocated to every task or activity. Perform a qualitative analysis to identify the type and structure of resources allocated to every task or activity. 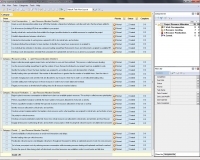 Identify resources allocated to critical tasks and activities. Develop a project mapping pattern that explains what resources and in what quantities are assigned to critical tasks and activities of your project. Set priority for critical resources. 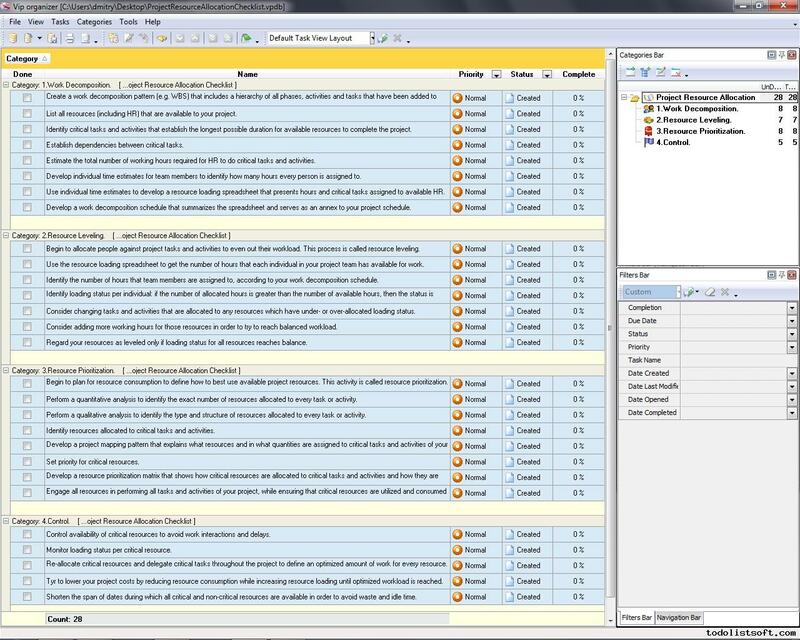 Develop a resource prioritization matrix that shows how critical resources are allocated to critical tasks and activities and how they are supposed to be consumed. Engage all resources in performing all tasks and activities of your project, while ensuring that critical resources are utilized and consumed as defined by the prioritization matrix. Control availability of critical resources to avoid work interactions and delays. Monitor loading status per critical resource. Re-allocate critical resources and delegate critical tasks throughout the project to define an optimized amount of work for every resource.